MS Dhoni will be India's leader in the World Cup but will he also be the captain? Kohli has been very successful as the captain of India, leading his side to famous victories but of late, his leadership has come into question. The failure to defeat a weakened Australia at home followed by a disastrous start to the Indian Premier League campaign has seen the nation renew its fancy for an old hero -- MS Dhoni. Dhoni has always been hailed as one of India's greatest captains and the 37-year-old has achieved everything as India's leader. He has led his nation to a T20 World Cup victory, he won the 50-over World Cup as captain and also oversaw his side to the number 1 Test ranking. Even in this season's IPL, Dhoni has masterminded his team to improbable victories, eking out the last bit of juice from the fruits at his disposal. Dhoni is regarded as one of the most astute thinkers of the game in its storied history. He is a man who hardly speaks or expresses himself vocally but is almost always one step ahead of the game. Speaking to any of his compatriots, the one obvious takeaway is Dhoni's ability to assess a situation well in advance and come up with a solution. A big positive side of Dhoni is his ability to use spinners to outfox batsmen. He is extremely adept at guiding the slower bowlers with regards to what ball to bowl to which batsmen and even helps them set their field. Dhoni's advice to India's spinners, heard through the stump mic, has become the stuff of legends. From asking Ravindra Jadeja to bowl slowly and get hit for a six to telling Kuldeep Yadav to come around the wicket and bowl a googly; hardly ever has Dhoni gone wrong in his assessment of the batsman's mind. Even today, in the current Indian set up, Dhoni remains invaluable. His absence was dearly felt as the spinner suddenly looked toothless when he was rested for the last two ODIs in the home series against Australia. 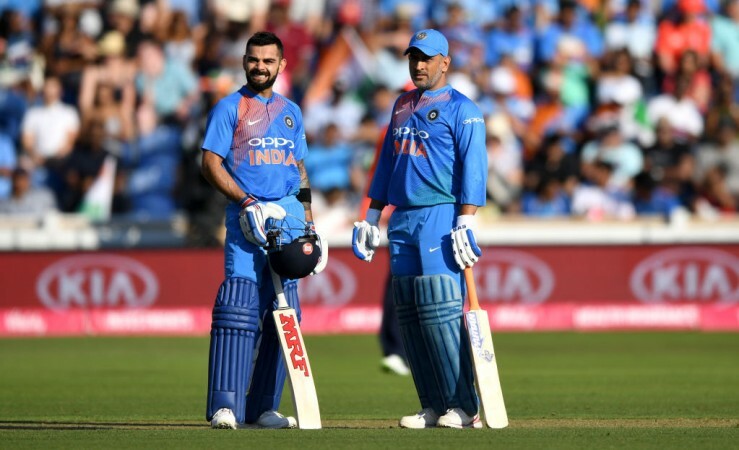 Dhoni's presence gives captain Kohli the freedom to patrol the boundaries in the death overs and not think about setting the field too much. He is just focussed on bowling changes and not too much else. Thus, Dhoni's presence in this team is almost necessary for it to succeed. But is that enough to ask Dhoni to lead in the World Cup? Appointing Dhoni as captain would set the team back by a few years. Moreover, Dhoni is at the fag end of his career and deserves to be freed from the pressures of captaincy. He should just enjoy his game and even if he is not the designated skipper on paper, he will anyway be calling the shots when the spinners come on to bowl. 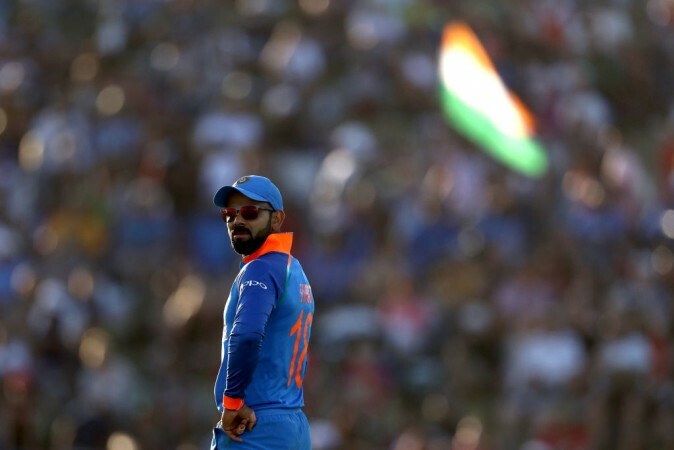 Kohli has his downsides as a captain and one of his biggest problems for the national team is that he has been unable to back anyone to the extent that he can find a permanent solution to the number 4 riddle. Another big problem with Kohli's leadership style in the IPL is his intensity and drive, which some of the domestic players cannot keep up with. The number 4 riddle will not be solved at the World Cup and the intensity will not be a problem with the national team. It is also evident that captaincy has only improved Kohli's batting. Thus, Kohli remains the right man to lead India in the World Cup and at the same time, the absence of 'C' beside MS Dhoni will not make him any less of a leader in India's cavalry. 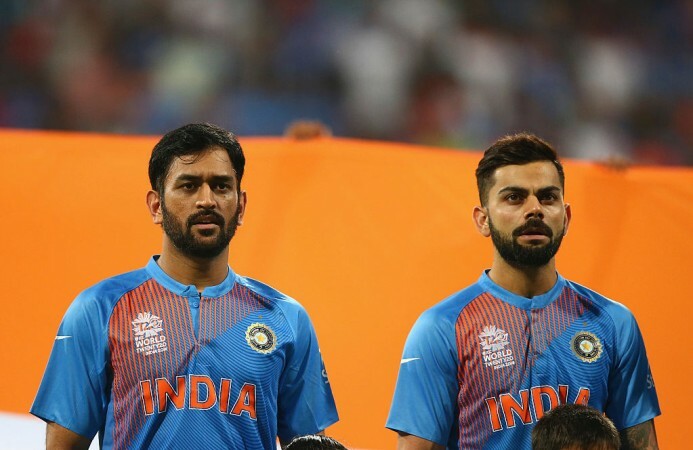 Kohli will officially be India's captain at the World Cup but Dhoni will anyway lead the side and even Kohli wants that.